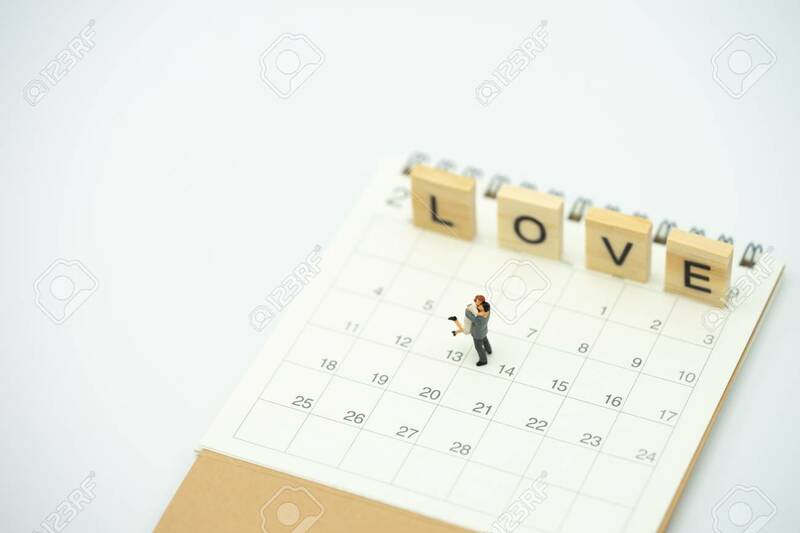 Couple Miniature 2 People Standing On Calendar. Day 14 Meets Valentine Day With Heart Shaped Red Paper. Red Heart Is The Promise Of Love. Using As Background Valentine Concept With Copy Spaces For You Lizenzfreie Fotos, Bilder Und Stock Fotografie. Image 114602986.